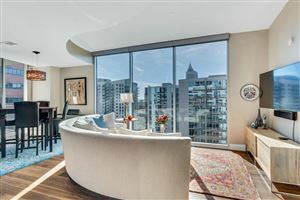 Market Report Note: Beginning in 2017, Market Reports for Aqua Midtown will appear on this page, instead of a separate blog post for each report. If you are interested in tracking market activity in this community, we suggest you bookmark this page to come back for updates. Aqua Midtown is another unique Midtown Atlanta condo community in that each home is served by a semi-private elevator that opens directly into your own entrance foyer. The elevator does serve more than one condo, but in all my times in the building, I’ve never ran into anyone on the elevator. 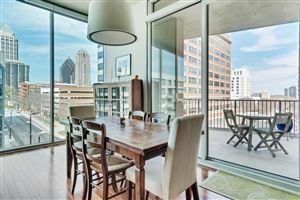 Aqua Midtown Atlanta also has the distinction of being the first Midtown Atlanta condo building to offer 3 bedroom homes. 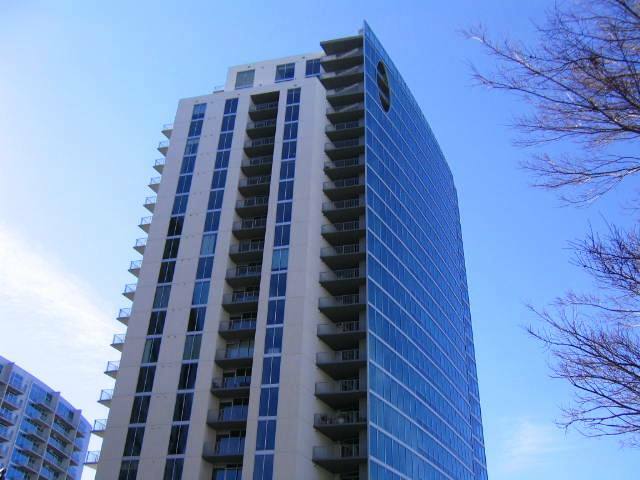 If you would like to learn more, visit Aqua Midtown Atlanta. Only 7 homes sold in Aqua Midtown in 2016. This compares with 5 in 2015. Days On Market (DOM) for 2016 were 7 days for the 1- bedroom, 31 days for the 2- bedrooms, and ONLY 35 days for the two 3-bedroom homes that sold. DOM in 2015 was 104 days for the 1-bedroom, 31 days for the 2-bedrooms, and 61 days for the 3- bedroom. But there was a dramatic shift in the sale of 2 and 3 bedrooms homes. Well, it appears dramatic, as four 2- bedrooms sold in 2016 vs. 2015 at two. And the same for the 3-bedrooms were 2 sold in 2016 vs. the 1 in 2015. There was a significant jump of 23% in the price of a 3- bedroom, an increase of 13% in the 2- bedroom prices and a modest increase of 6% for the 1-bedroom homes that sold. See all Real estate in the Aqua tract. Data last updated: 4/20/19 9:31 PM PDT.